If you're anything like us, you ate your fair share of holiday cookies these last few weeks. With the holiday season coming to a close, and a new year just beginning, what better time to focus on getting your health back on track? 1// Mat - A really good mat is a universal must-have for workouts, whether you are at home burning a sweat or in class. 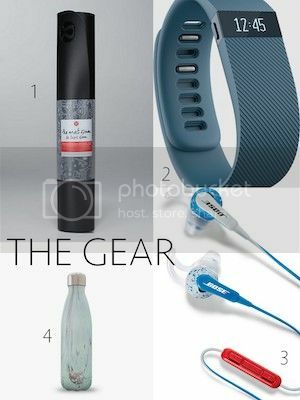 2// FitBit Charge - This band does it all, from tracking your daily activity (steps taken, distance, calories burned and floors climbed) to monitoring your sleep activity, all in real-time. Add Caller ID and wireless syncing to your smartphone and other devices, and the FitBit becomes your very own fitness personal assistant. 3// High-Performance Earbuds - Who doesn't like listening to their favorite music while burning a sweat? These earbuds will help you pass the time and have a blast while burning off the holiday calories. 4// S'well Water Bottle - We love these bottles. 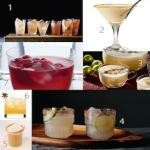 They come in almost every color/pattern imaginable and keep your sports drink cold for an impressive 24 hours! 1// Gym Genius - This app is great for simple and fast data entry - weight, reps and personal records. 2// Seven - Based on the seven-minute workout featured in the New York Times Magazine, use nothing more than a chair, a wall, and your own body weight to drastically improve your strength in just seven minutes a day. 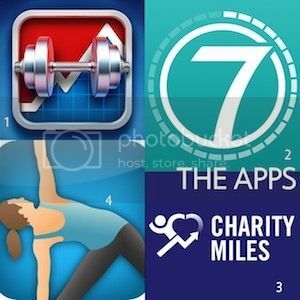 3// Charity Miles - Earn money for charity when you walk, bike or run. Talk about motivation! 4// Pocket Yoga - This app provides guided instruction for all skill levels to get a great workout right at home. 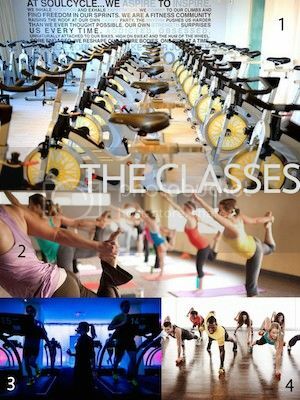 1// SoulCycle - SoulCycle takes spinning classes to the next level. With motivational and inspirational instructors, candlelight and great music, never has riding a stationary bike been so much fun. 2// Yoga - There seems to be a yoga class for just about anyone. If your goal is to stay focused and relaxed in spite of how crazy life gets sometimes or just strengthen your body, yoga does it all. 3// Treadmill Classes - Gym clubs all over the country are going crazy for treadmill classes. In fact, many are saying it's the new 'it' class. We're excited to look a class up and give it a try! 4// HIIT - Short for High-Intensity Interval Training, these classes have become extremely popular and are a fun and high-energy way of burning a TON of those extra holiday calories! What are some of your must have for being healthy in 2015?